SFAX – Vipers SC will be hoping they can reach the group stages of a CAF Competition when they take on CS Sfaxien on Sunday night. The Venoms drew 0-0 with the Tunisian giants at Kitende and know that a win or any scoring draw will be enough to see them through. However, it is easier said than done for Nam Ouma’s side who come up against thr record winners (3) of the competition. Despite the nature of opposition, Ouma looks to be unfazed. “CS Sfaxien are so dominant in this competition thus start as favourites however the more difficult it is, the more i enjoy the preparations and my troops are 100 percent focused so hopefully we can see that tonight, said Ouma ahead of the game. Vipers have no fresh injuries going into the game. 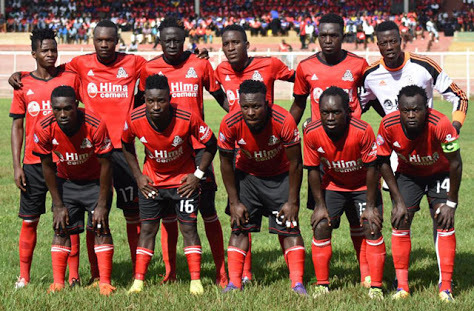 However, changes are expected in the team that defeat Kansai Plascon in the Uganda Cup. With Yayo Lutimba suspended, Aggrey Madoi is expected to slot in at Left-back. Bashir Ssekagya is still out injured so Derrick Ochan will continue being Fabian Mutombora’s deputy. For CS Sfaxien, they will be confident of getting the job done in their own backyard. The ‘Juventus of the Arabs’ like they are known have won the Confederations Cup three times before with the latest coming in 2013. Sfaxien eliminated Green Buffalos in the first round to get here. This is only the second ever meeting between the two sides after drawing 0-0 just over a week ago. Vipers will be playing their six Confederations Cup game in history. In the first 5, they have won only one (D3 L1). Away from home, they are yet to register victory in their two games so far (D1 L1). For Sfaxien, they go into Sunday’s game having won only one of their last 5 Confederations Cup games (D1 L3). At home, however, they have not lost any of their last 7 (W6 D1).